Dawn moved to the Pacific Northwest from Indiana and joined MTI Physical Therapy during the summer of 2012. After earning her B.A. in theatre, she was inspired to not simply tell stories, but motivate people one-on-one to live better stories. She soon fell in love with both the art and science of physical therapy. 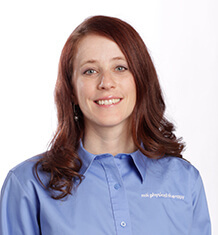 Her clinical interests include the nervous system’s role in chronic pain, spinal dysfunction, and the variety of manual techniques to decrease pain and improve mobility. She completed the Ola Grimsby Institute’s orthopaedic residency program in 2014. Her other passions include international service and travel, spending time with her family, yoga, running, hiking, and reading.